Rolling Stones 50 Mick Jagger Book - On Sale Now With Fast Shipping! "This is our story of fifty fantastic years. We started out as a blues band playing the clubs and more recently we've filled the largest stadiums in the world with the kind of show that none of us could have imagined all those years ago. Curated by us, it features the very best photographs and ephemera from and beyond our archives." (Mick, Keith, Charlie & Ronnie). On Thursday 12 July 1962 the Rolling Stones went on stage at the Marquee Club in London's Oxford Street. In the intervening fifty years the Stones have performed live in front of more people than any band...ever. They've played the smallest blues clubs and some of the biggest stadium tours of all time. They've had No.1 singles and albums in every country that has a popular music chart and have helped define global popular culture. A phenomenal half-century later, they now look back at their astounding career. 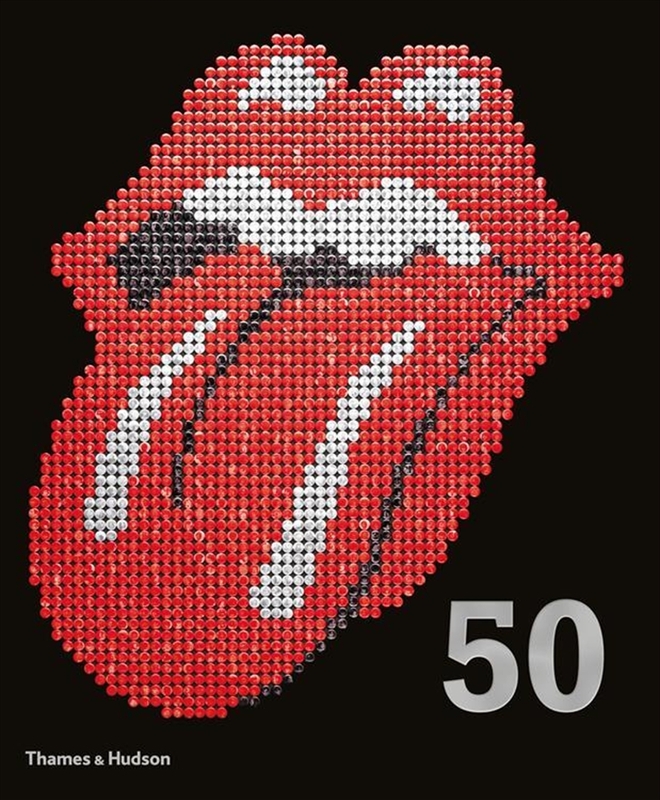 Curated, introduced and narrated by the band themselves, The Rolling Stones 50 is the only officially authorized book to celebrate this milestone. With privileged access to a wealth of unseen and rare material, it is packed with superb reportage photography, contact sheets, negative strips, out-takes and so much more, from every period in the bands history. With more than 1,000 illustrations, it also features some of the most rare and interesting Stones memorabilia in existence: international posters, draft record cover art, bubblegum cards, jigsaws and other previously unpublished treasures specially photographed for this volume. Additional contributions by photography legends Gered Mankowitz, Jean-Marie Perier, Dezo Hoffmann, Michael Cooper, Terry ONeill, Bent Rej, Philip Townsend and many others make this the definitive book to celebrate fifty years of the Rolling Stones. From Mick, Keith, Charlie and Ronnie here is one spectacular thank you to their fans all over the world.